I love Daffodils! Have you ever noticed how they look bright and cheerful even when the weather is cold and gray. They don’t seem to mind our Utah spring weather that can be warm and beautiful one day and freezing the next. They are one of the first flowers to bloom in our Utah gardens along with crocus and hyacinths. Gene Bauer loved daffodils, enough that over many years she planted thousands of them in a field near her home in California. Until recently her garden was open to the public. 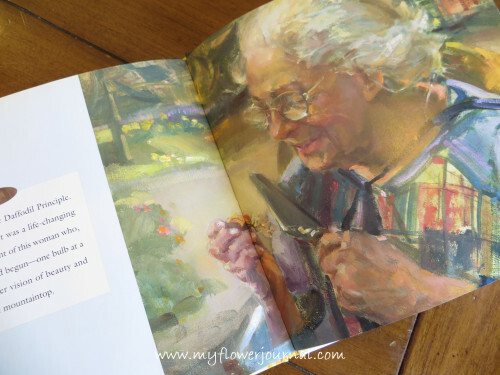 Now that she is in her mid eighties it is too much for her to invite people in, but you can read about her garden in this beautiful book: The Daffodil Principle. 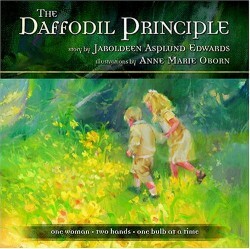 It is one you will want in your library so you can share its message with those you love.